A living stream is a constructed or retrofitted waterway exhibiting an ecosystem that mimics the characteristics (morphology and vegetation) of a natural stream. It may be a narrow stream which runs only in winter, a permanent stream or a large river. Typically, a living stream has characteristics that distinguish it from a drain. 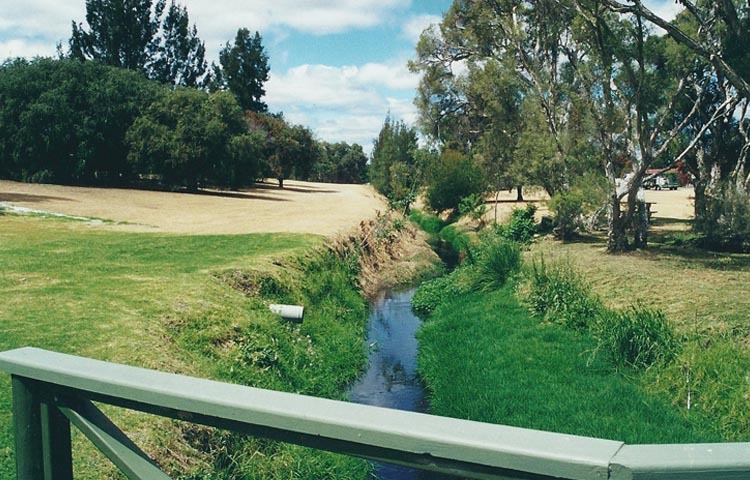 It has stable banks with riparian and aquatic vegetation providing habitats for native animals such as macroinvertebrates, fish and crayfish, frogs, waterbirds and rakali (water rats). It can also provide a beautiful feature within the landscape for people to enjoy. In the past many natural streams were converted to open drains and allowed to carry polluted water and sediment to our receiving water bodies such as wetlands, lakes or rivers. They were often ugly and hazardous, with steep banks, which meant they had to be fenced from public access. 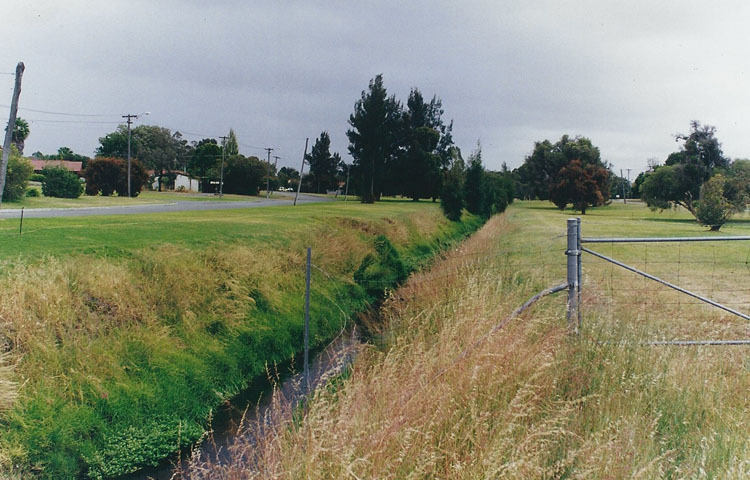 However, in recent years, due to recognition of the beneficial effect that streams have on water quality and the urban landscape, many drains have been restored to become living streams. Community Catchment and Landcare Groups, such as AGLG, BCCG and SERCUL have many years of experience in constructing Living Streams. 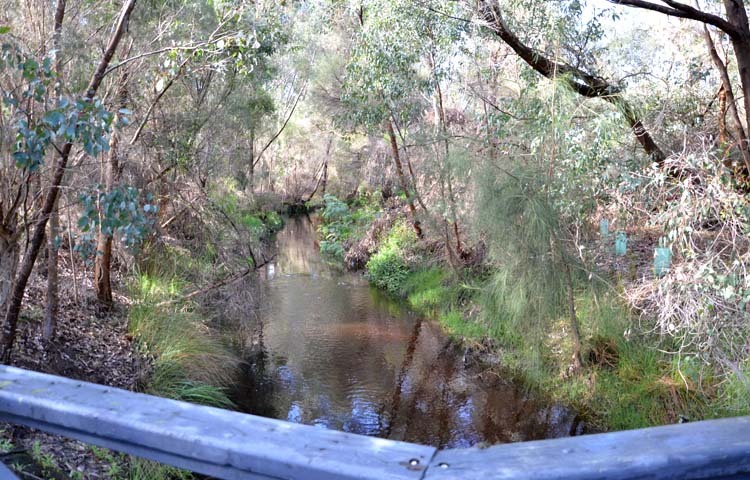 Bannister Creek in Lynwood and Ferndale (Perth, Western Australia) is one of the most mature Living Streams in Australia, with significant biological, social and physical scientific research undertaken. 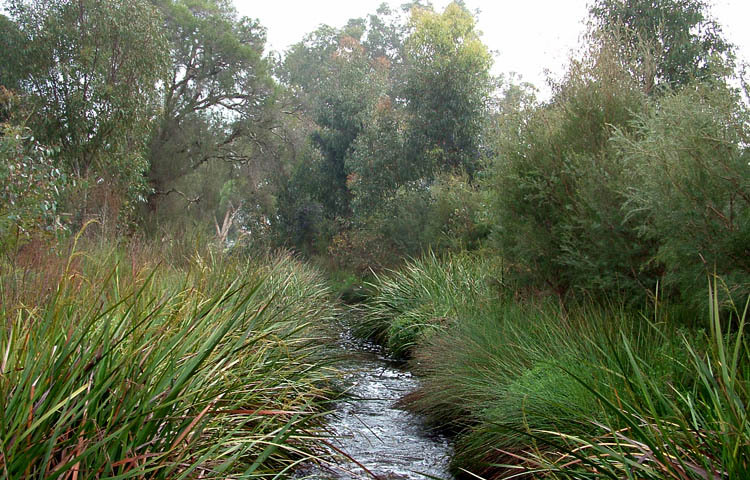 The Bannister Creek Living Stream was a finalist in the International River Foundation Awards 2014. Erosion control – A stream meanders across the landscape controlled mainly by its banks and floodplains. The vegetation that grows on those banks and floodplains is referred to as riparian and/or aquatic vegetation. It is the vegetation that holds the soil intact as the water passes through. The slope of the bank, presence of riffles, and its meandering shape determines the speed (velocity) and roughness which slows the water reducing its capacity to erode the banks and transport sediment. Water quality improvement – Aquatic vegetation, riffles and natural biological processes help to oxygenate the water, remove nutrients and non-nutrient contaminants and thus improve the water quality. Habitat – A living stream provides a diverse range of aquatic habitat for plants and animals. It also provides a corridor of land and water along which many animals can move. It is the vegetation and water that creates the primary habitat. In water, vegetation is called a Macrophyte. Macrophytes provide food, shelter, shade, resting and a place for fauna to breed. Riparian or aquatic vegetation usually refers to those plants that simply need to live in or near water for part of their life cycle. The aquatic vegetation also provides essential food, shelter, shade, nesting space and materials for protection and faunal homes, as well as providing a fine network of water filtering media. Education – Living streams provide an education opportunity for local schools, TAFE colleges and Universities. They provide opportunities to research the behaviour of the plants and animals which live side by side with humans. Local and visiting families can safely explore and observe the wildlife using the living streams environment. Recreation – Streams, rivers and estuaries provide refuges for people as well as wildlife. They provide a range of recreational opportunities, including canoeing, fishing, bird watching, bush walking, and the simple exploration of nature. They can be shady green corridors through housing developments, providing places to relax, exercise and enjoy. Health – Living streams form a local natural space that provides a place for humans to relax within and connect to the land and their environment. It is now well known that interaction with the natural environment, including streams, trees, wildflowers, insects, birds and the sounds of water trickling over rocks with birds singing, frogs croaking and insects clicking provides a welcome calming sensation for those caught up in a busy life. This has been proven to convert to improved health and wellbeing.